Is rebranding the first step toward a fresh start, or just a desperate attempt to keep a sinking ship afloat? It’s important to modernize your country club’s brand, but what’s the right way to do it? If you’re the proprietor of a country club that’s struggling to attract younger demographics, you’ve probably wrestled with these questions quite a bit. Golf is a game with a rich history that many see as one of its biggest strengths, but it’s important to adapt to changing times and tastes. 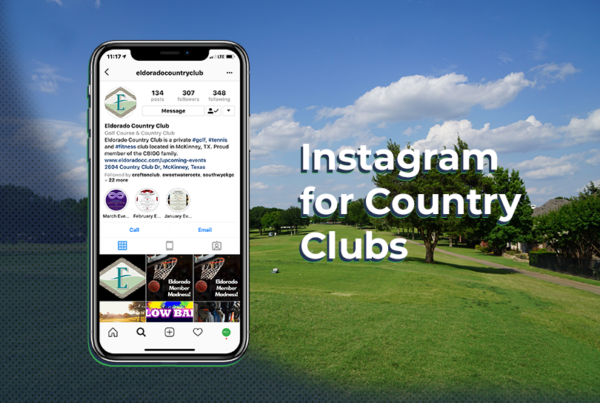 Let’s explore some approaches to rebranding that stay faithful to everything your existing customers love about golf but that will also open up opportunities to build relationships with younger customers who can sustain your business for decades to come. What do young golfers love about the sport? The game has undergone plenty of change in recent years, and in many ways looks pretty different than it did in decades past. Today’s game is all about power, hard-hitting, and club technology, and those elements excite younger crowds. 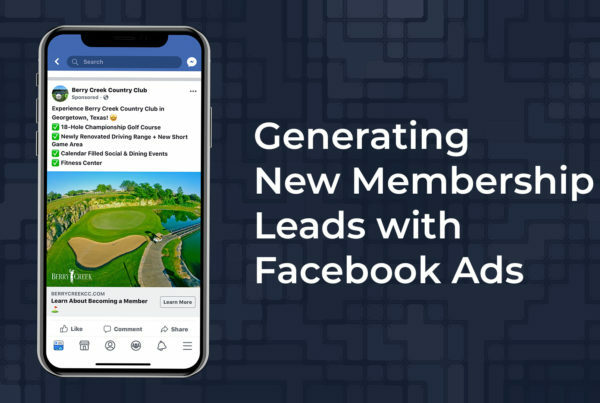 Ways to attract these prospective members include focusing on digital marketing, refreshing your logo and aesthetic to match current trends, and working with influencers who move the needle with your target demographic. Just as millennials appreciate golf in a somewhat different way than previous generations, their tastes and expectations for the country-club experience tend to differ as well. Whereas older clientele often prefers classic, meat-and-potatoes dining options, and mass-produced domestic beers, younger people gravitate toward more experimental food choices and local craft beers, wines, and spirits. You can play to the tastes of both crowds by crafting a diverse menu that has appealing options for all generations and tastes. If you offer something a customer likes, they generally won’t hold it against you if you also offer something they don’t like. Different strokes for different folks, right? Perhaps the problem with your country club’s branding isn’t that it’s dated or uncool; maybe you’ve just never had a cohesive effort to make sure your branding is consistent and purposeful. If your country club is on the smaller, more exclusive side, or if it’s a local, family-run business that relies on tradition and legacy to keep customers flowing in, it’s possible you’ve never given that much thought to strategic branding. After all, you’re not exactly Google when it comes to the size and scope of your business, so what’s the point? Be careful of falling into the trap of that line of thinking. Small businesses can establish strong, widely identifiable branding in much the same way that large corporations do, and it’s just as important. The “starter logo” that you went with when you first opened your doors may have had a scrappy, DIY appeal, but as you grow bigger, it’s time to make things a bit more coordinated and professional. Below you’ll see the change we made in our logo, the simplification provides a clean and professional look that best represents our brand. How Can You Reflect Your Mission and Values? When you’re considering a rebrand for your country club, this is the big question to keep in mind. Above all, you want to make sure your branding is authentically you and gives customers an accurate representation of what their experience golfing or dining at your country club will be like. It’s great to keep apprised of current trends and hot aesthetics, but you have to stand out from the crowd, too. Don’t be afraid to take risks if you feel like those risks will help you turn heads rather than blend in. Once you’ve settled on a great branding strategy for your country club, the final step is getting the word out! Once you’ve done that well, you can expect to see the benefits arrive in the form of a large, diverse customer base that will stand by you in the long term. 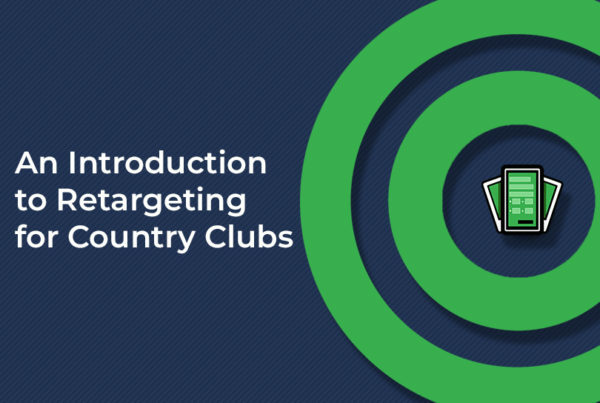 Be sure to check for more on LongDriveAgency.com if you need some help to create a winning rebrand and modernize your country club’s brand. And don’t forget to head to DigitalRange.com to get access to the tools to help create a winning digital presence and online brand!